As the Grand Finale of the Club’s 50th Year Anniversary Celebrations we are delighted to welcome Ian Walker MBE for a talk about his winning career in Sailing and to answer any questions you might have. 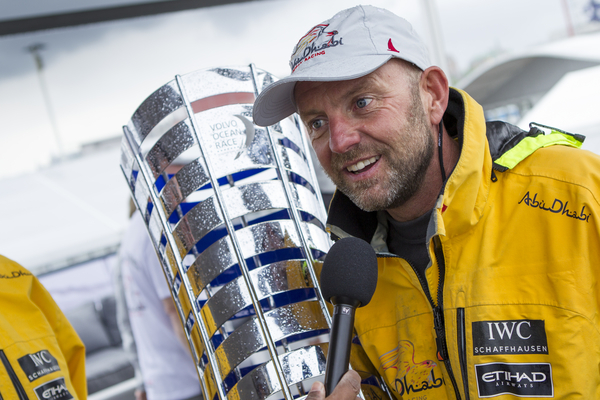 Voted ‘Worldwide Sailor of the Year’ last year after winning the Volvo Ocean, Ian is one our most successful sailors and the only Briton to have ever won what has been described as ‘the globes most gruelling race’. After leaning to sail in a Mirror dinghy, Ian progressed to win 2 silver medals at the Olympics before coaching Shirley Robertson to Gold in 2004. Most recently he has been appointed Director of Racing at the RYA and ultimately responsible for our future medal winning performance. Come and hear what it takes to win at the highest level – and ask your own questions of Ian in this unique and special event. A suggested minimum donation of £5 per person will be contributed to Ian’s John Merricks Sailing Trust. The Club will also be making a special contribution to this Trust.